Steelweld Enviro Launch TWO New Products! 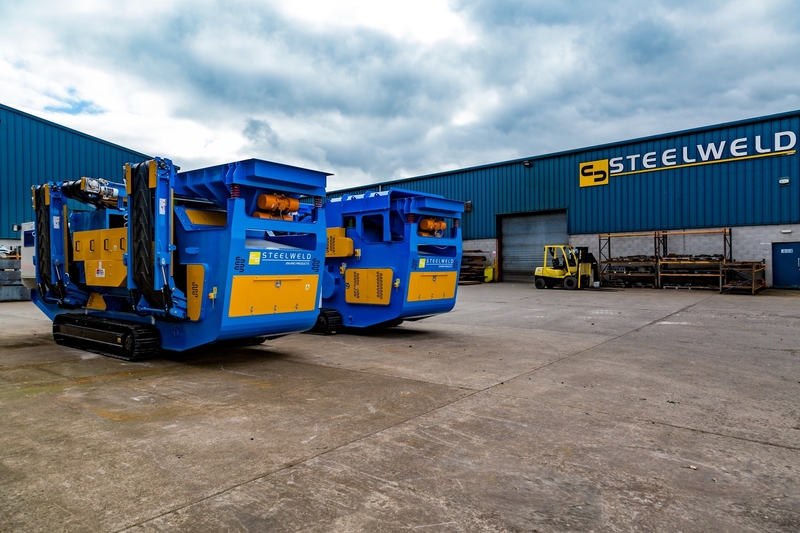 Two new innovative products designed specifically for the waste recycling sector have recently been launched by County Tyrone based Steelweld Enviro Products Ltd. The company is a subsidiary of Steelweld Fabrications Ltd which has over three decades of experience partnering with world renowned brands, manufacturing equipment on a 60,000 sq ft site in Cookstown. With state-of-the-art facilities, Steelweld Enviro Products Ltd. designs and manufactures a world class range of innovative solutions for waste recyclers. Having sold machines in the UK, Ireland and Europe, the new company are currently in the process of building a global network of agents. The result of a year long project, the new machines include a mobile metal separator and an air density separator. The Steelweld Strobe ECS 1500 is a mobile eddy current separator using a powerful magnetic field to separate ferrous and non-ferrous metals, such as aluminium and copper from a variety of materials. Incorporating the Master Magnets, ECS150 ensures that optimal separation and a maximum yield is achieved; it can process up to 30 tonnes an hour, depending on source material density. Its unique low feed height allows it to be directly fed from a Trommel. It comes with crawler tracks, an on-board diesel generator and hydraulic power pack, allowing for easy site manoeuvrability and can be used to process a variety of materials including municipal solid waste, C&D reclaim, incinerator slag, biomass, shredded wood and crushed glass. A static version is also available. The second product is the Steelweld Rotary AST 1500, a tracked mobile air separator using powerful air fans to separate waste based on its density; it will also be available as a static machine. The input material is separated into two fractions varying from light to heavy. Like the Strobe ECS 1500, its unique low feed height allows it to be directly fed from a Trommel. It also has a fully adjustable feed belt, air system and air knife allowing for optimal separation control on a range of source materials. As Steelweld Enviro continue to grow, they plan to add to their exsisting line of products, so watch this space!